For many people, simply eating well and exercising regularly is enough for them to stay in shape. But if you’re serious about creating a better body and building as much muscle as you possibly can, then you’re probably using workout shakes and nutritional supplements to help the process along. Shakes and supplements are a great way to boost your nutritional intake and hasten the body building process. Their only weakness is that they can start to break your budget. If you’re looking to save some money on your workout shakes and supplements, here are five helpful tips. 1. Buy only what you really need. There are so many shakes and supplements out there, and it’s easy to go from occasionally drinking a shake after a workout or taking one supplement per day to having an entire shelf full of products that claim to build a better body. Do you really need all of those products? Probably not. Take some time to think about what your goals are, then figure out what nutrition you’ll need to meet those goals and buy only the products that contain what you need. 2. Don’t buy pre-made shakes. Yes, they’re totally convenient, but they’re also expensive (not to mention wasteful, with all of those single use containers). Instead, buy powdered mix in the biggest quantity you can afford (as bigger containers typically cost less per ounce) and make your own shakes. If you need one to go, put it in a reusable cup or mug. 3. Comparison shop for the best deals. You’ll often find the best prices on shakes and supplements online, but be sure that you factor the cost of shipping into the price. Also, watch for good deals on these products; they typically happen in January, when people resolve to get in shape, and in the springtime, when people are thinking about how they’ll look on the beach. 4. Consider buying generic brands. They definitely cost less, and while they’re not always the same as name brands, many generics are more or less equivalent to the pricer brands. Read the labels to make sure that the generic you’re looking at contains a comparable nutritional profile to the name brand; if it’s equivalent, go for the generic. 5. Eat well to avoid having to spend a lot of money to supplement your nutrition. This involves taking some time to learn about nutrients and what foods are rich in them. The good news is that there are lots of inexpensive whole foods that are perfect for anyone who is serious about sculpting a better body. Eggs, vegetables, lean meats, and nuts can all be found for nominal costs at your local grocery store. If you eat wisely and well, you’ll have to supplement less. The average American wedding costs in excess of $25,000. That’s an enormous amount of money to spend on a celebration that lasts only a few hours — indeed, it’s more than many people earn in a year. But your dream wedding doesn’t have to break the bank. There are many ways to save a little here and scale back a little there when planning your big day. From feeding your guests to staging the perfect ceremony, you don’t have to spend a fortune to have a wedding that’s fun, memorable, and full of love. Here are 101 tips and tricks to get you saving. 1. A brand new gown might be nice, but so is a heritage gown that has special meaning for you and your family members. Wear your mother’s or grandmother’s wedding gown if they’re available, well-preserved, and the correct size. 2. Ask married friends if you can borrow their gown. Chances are pretty good that they won’t be wearing it again anytime soon (or ever). 3. There are great deals to be had at bridal consignment shops. Most gowns have been worn just once, and some haven’t been worn at all. As a bonus, ask about selling back your gown after you’ve worn it to get some cash back. 4. Hit up trunk sales and sample sales for a great deal on a brand new wedding gown. 5. With more and more bridal outfitters realizing that brides may not want to keep and store their wedding dress, gown rentals have been gaining popularity. Look into renting a dress. 6. Vera Wang, Isaac Mizrahi, and all of the other big name designers have a line of wedding gowns. They’re beautiful, of course, but they’re also ridiculously expensive. 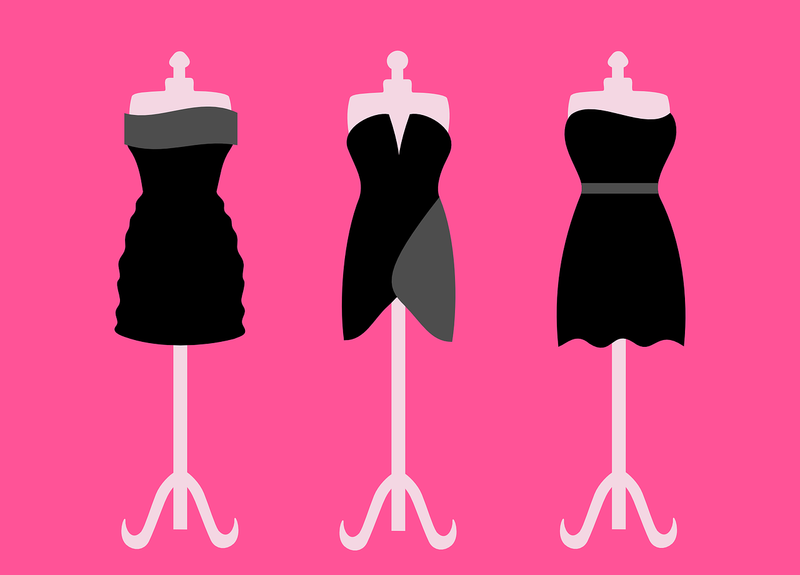 An off-brand dress can be just as lovely, and you’ll spend a fraction of the cost of a designer dress. 7. If it’s an option, buy your wedding dress in a state that does not charge sale tax on clothing. 8. If you’re having a more casual wedding, consider buying a white dress that isn’t technically a wedding dress. They’re often priced much lower than wedding gowns. 9. Make your own veil. It’s a simple sewing project that even the most novice tailor will be able to do. 11. Wear high quality costume jewelry. Who will know that you’re wearing fake pearls instead of real ones? 12. Buy shoes that you can wear with other dresses, and don’t spend too much on them. If your smile’s big enough, no one will be looking at your feet anyway. 14. If the groom and his groomsmen are renting tuxedos, rent basic ones. Designer brands are often available, but they cost considerably more per rental, and they look almost exactly the same as the off-brand tuxedos. 15. Some tuxedo rental shops will give the groom a free rental if his family and groomsmen rent their tuxedos there as well. Look into these possibilities before deciding on a rental shop. 16. Keep your guest list manageable. Even cutting ten people from your list will save you a good chunk of change. 17. Save the date cards are not really necessary, especially if you send out your invitations early. They’re an extra expense to print and mail. 19. Or, send your save the date cards as an email. 20. Keep your invitations simple. Things like full color, embellishments like ribbon and foil, and thick lined envelopes will all drive up your printing cost. 21. Print one invitation that invites guests to both the ceremony and reception. Printing a separate invitation card for each costs more. 22. Buy invitations that can be mailed in regular size envelopes rather than square envelopes. The latter will cost a little bit more to mail, which may seem trivial, but if you have a sizable guest list, that little bit will add up quickly. 23. If you want custom thank you cards, order then when you order your invitations. You’ll often get a discount. 24. If you’re the crafty DIY type, look up some invitation tutorials online, fire up your ink-jet printer, and make your own. 25. There are services that will assemble and stamp your invitations for you, but to avoid the fee that they charge, set aside a few hours with your betrothed and do them yourselves. 26. Having a calligrapher personally address envelopes may be a nice touch, but at a few bucks per envelope, it’s an unnecessary expense. Instead, learn how to write calligraphy, or type addresses in an ornate font on your computer and run the envelopes through your printer. 27. Keep the number of pieces of paper in your invitation envelope to a minimum to reduce postage costs. For example, rather than including printed directions, you could simply direct guests to a website or give brief GPS instructions. 28. Have your invitation weighed at the post office, and then buy postage in the exact amount you’ll need. 29. Instead of paying return postage on RSVP cards, create a free website for guests to use for RSVPs. 30. Clergy and professional officiants typically charge a fee to perform a wedding ceremony. However, the Universal Life Church will ordain anyone to perform a wedding ceremony for free. If you’re not interested in a religious ceremony, this is a good way to save some money. 31. Choose a reception venue that also has space for your ceremony. You’ll save on the second site charge. 32. Save on printing costs by skipping a program. People generally know what to expect from a wedding ceremony, so they’re not entirely necessary. 33. Keep the ceremony to the allotted time to avoid overtime charges from your officiant and any musicians who perform. 34. Do the ceremony privately earlier in the day or the day before, then invite your friends and family to the reception. 35. Think outside the box when it comes to choosing a venue. Places like museums, libraries, parks, and spaces on college campuses will often cost less than more traditional wedding venues. 36. Look into venues you may be able to get inexpensively or for free. For example, if a close family member is a military veteran, you may be able to use the local VFW hall for a nominal charge. 37. Get married in your backyard. It’s totally free! 38. Choose a venue that already has tables, chairs, table linens, dishes and silverware, and all the other little things you’ll need for your big day. Otherwise, you’ll have to pay extra to rent them. 39. Hold your reception in a restaurant. They’ll have everything you’ll need, and you probably won’t be charged a site fee. Offer a limited menu to ensure that Uncle Bob doesn’t order the $60 cowboy ribeye. 40. Many venues will offer to “wrap” or “drape” guest chairs for a small charge each. Two dollars per chair may not sound like much, but if you have 200 guests, that’s $400 — which you really don’t need to spend. 41. Choose a rather plain venue, like a large hotel dining room or a black box type theatre, then decorate it yourself using paper, fabric, and lots of creative lighting. 42. Find out if your venue has a list of preferred vendors. Using them can get you a deal, which can save you lots. 43. Seek out a venue away from a big city, where the rental fees (and just about all of the other wedding costs) tend to be lower. 44. Find a resort in a beach town and have a tropical yet casual destination wedding. As an added savings, your guest list will be considerably smaller than it would have been if your wedding had been held in town. 45. Make your own small favors to be placed at each table. 46. Or, skip wedding favors altogether. They’re usually forgettable to attendees, and it’s an expense that can easily be cut from any wedding budget. 47. Think carefully about what meal you offer your guests, since some entrees cost a lot more than others. Chicken and pasta, for example, cost a lot less than filet mignon. 49. Buffet or “strolling” dinners are often less than sit-down dinners. 50. So is having your meal family style, where there are big platters of food to pass on each table. 51. For outdoor weddings, do a hog roast or a barbeque. It’s comfort food that everyone will love, plus it’s a lot cheaper. 52. If you’re having a cocktail hour as part of your reception, limit the amount of hors d’oeuvres you put out. People generally want just a snack before their meal anyway. 54. Have a local ethnic restaurant cater your reception. It will cost much less than standard caterer, plus it will make your wedding one to remember. 55. Have a cake and dessert reception instead of a full meal. 56. Want a big traditional wedding cake? Instead of a bakery, which will charge a premium on wedding cakes, find a skilled home baker or culinary student and order your cake from him or her. 57. Keep cake flavorings simple and easy. Chocolate and vanilla are usually more affordable than, say, almond and passion fruit. 58. Buy a sheet cake instead of a traditional tiered wedding cake. Sheet cakes are easier to construct and easier to decorate, which means they’re easier on your wallet. 59. Don’t offer guests an additional dessert. Cake is plenty. 60. Get cupcakes instead of a full cake. It’s cheaper, plus you’ll avoid the cake cutting fee that many venues charge. 61. Instead of unlimited open bar, consider having just beer and wine, or just wine. If you and some of your guests prefer liquor, offer one or two “signature wedding cocktails” rather then a full open bar. 62. Limit bar time. You often pay by the hour, so consider having open bar for just the first hour or two of your reception. 63. Hold your reception at a place where you can bring your own alcohol for your guests. Venues and caterers often mark up alcohol by quite a bit, so you can save a lot by buying your own keg of beer or cases of wine. 64. Don’t buy the pricey champagne. Guests will generally just take one quick sip after the toast anyway. 65. Or, instead of buying champagne for the toast, toast with whatever you’re drinking. 66. Hire talented students to do things like perform classical music at your ceremony, take wedding photos, and more. Students will usually do these services for about half of what a professional might charge, but will almost always deliver comparable quality. 67. Rather than a “wedding” band, find a talented local band and hire them to play at your reception. You may not get all the songs you want, but you get great live music for a lot less money. 68. A DJ is almost always less expensive than a band. 69. Or, skip the DJ, create a playlist of songs you want to hear, and play it through the venue’s sound system. Ask a friend who loves music to be in charge of starting and stopping the music at key times during the reception. 70. Instead of ordering an expensive wedding album from your photographer, find a photographer who will give you all of the photos as part of your wedding package, then put the ones you like in a self-published book from any photo website. You’ll have a bound album for a lot less than a traditional wedding album. Plus, if parents or other relatives want a copy, it’s easy and inexpensive enough to order more copies. 71. Put disposable cameras on each table with a note for guests to take photos for you. You’ll be surprised at how good some of them turn out! 72. Or, skip the cost of disposable cameras altogether, and put notes on tables asking guests to email you the photos they take at your wedding (don’t forget to include your email address) or post them to social media and tag you. 73. If you want video as well as photos, ask your photographer if he or she can provide video services as well. Usually, getting both from the same provider will save you some money. 75. Larger flowers means you have to buy fewer of them, which helps to keep your cost down. 76. Carry a small bouquet, and have your bridesmaids do the same. 77. Bigger tables means fewer tables, which means fewer centerpieces to buy. 78. Create your own centerpieces by using inexpensive glass bottles (which can be found at any craft store) and redistributing flowers from large, inexpensive grocery store bouquets or wholesale markets. 79. Use small centerpieces instead of large ones. 80. Or, to save even more money, use large votive candles surrounded by rose petals on each table. Your only expenses will be a box of petals and a case of candles. 81. Make paper flowers instead of buying real ones. They’re a lot less money, and you’ll never have to worry about them wilting. 82. Get married in a botanical garden, park, or other place with lots of greenery. The natural surroundings come free with the venue, and then you won’t have to spend much on additional flowers. 83. Make a budget and stick to it to avoid spending too much. 84. Prioritize. If one thing is really important to you — say, a harpist playing music at your ceremony — then you need to be willing to compromise financially on other aspects of your wedding. 85. Ask if you can negotiate a lower price. Remember, everything is negotiable. Many times, for example, a wedding service provider will lower his or her rates if you offer to pay with cash. 86. Hiring a wedding planner may seem like an unnecessary expense, but one who is experienced can help you negotiate lower prices on everything, saving you in the long run. 87. DIY as much as you can. Find fun ideas on Pinterest to inspire you. 88. Avoid getting married in June, when fees for everything tend to be at their highest. 89. For the most leverage when it comes to negotiating, consider picking a date in the winter, late fall, or early spring. 90. New Year’s Eve tends to be an expensive date, as does Valentine’s Day, when prices for flowers, champagne, jewelry, and other items get jacked up. 91. Saturday evening weddings tend to be expensive. You’ll typically get better prices from wedding vendors if you get married on a Friday night, or even during the week. 92. Many receptions last four or five hours. By making yours just two or three, you can save a substantial amount on both food and beverage costs and venue fees. 93. Skip the limousine if you need transportation from the ceremony to the reception. It’s a lot of money for a short car ride. Instead, ask a friend who owns an especially nice car if he or she would be willing to drive you that distance. 94. Involve your creative friends in your wedding for invitation design, flower arranging, photography, and more. Friends will often offer their services for a greatly reduced rate or even for free in lieu of a wedding gift. 95. If you’re having place cards for your guests, write or print them yourself. 97. If you’re buying plain gold bands for your wedding rings and you know your sizes, order them from a discount website. They’ll look exactly the same as the ones you’d get at a jeweler, but they’ll cost about half. 98. Keep the bridal party to a minimum, even down to just a maid of honor and a best man. 99. Keep attendant gifts simple. 100. Don’t say the W word! Vendors know that people are emotional about their wedding and mark up prices as a result. By not mentioning that something is for a wedding, you may be able to save a significant amount. 101. Don’t get too hung up on paying to make sure everything is perfect on your wedding day. Ultimately, you want to focus on the marriage and not just the wedding. If you believe the number put forth by the USDA last August, the cost of raising a child born now through age 17 will exceed $240,000. Have two or three kids, and your costs really skyrocket! While it’s no great secret that kids are expensive, many parents struggle with ways to keep their costs down while still keeping their kids happy, healthy, comfortably dressed, and well fed. If you feel like your spending on your own kids could be reeled in a little bit, check out these 101 tips to save money on kids, from birth to high school graduation. 1. Breastfeed instead of using formula. Once those free formula samples run out, it costs a small fortune to buy the stuff. Breastfeeding, on the other hand, is free. 2. Check to see if your health insurance plan covers the cost of a breast pump. If you don’t have to go out of pocket to buy this essential device for working moms, you can save a few hundred bucks. 3. Buy a set of cloth diapers and use them as much as you can to cover your baby’s bottom. 4. Or, if you use disposables, buy large boxes to cut down on the cost per diaper. The best time to do this is when your baby goes up to a new size so that you’re not stuck with a bunch of diapers that are too small. 5. Try store-brand or generic brand disposable diapers rather than name brand. They offer the same protection, but they usually cost much less money. 6. If you don’t use cloth diapers, try to potty train early. The sooner you can get your child out of diapers, the less you’ll have to spend on them. 7. Make your own baby food. Those little jars and pouches can add up quickly. 8. There are $10 strollers and $1000 strollers. The $10 might not be best for an infant, but you can get a decent stroller for much less that $1000. Shop around. 9. If you have a crib and a portable Pack and Play, you probably don’t need a bassinet too. 10. Before buying any expensive piece of baby gear, see if a friend has one that you can try out first. 11. Don’t buy a crib bumper. They are a SIDs risk and an unnecessary expense. 12. If you pllan on having more than one baby, buy your big baby gear (like a stroller, car seat, high chair, and so on) in gender neutral colors and use it again in a few years. 13. Carefully consider all the baby gear you buy. Some items may look and seem cool, but they’re ultimately not necessary. For example, a wipes warmer may seem like a good idea, but you can certainly do without one. 14. People who are handy with yarn and a needle will frequently ask if they can knit you a blanket, hat, or something for your baby. Say yes! You can never have too many blankets or knit baby items. 16. If you have your baby in a hospital, you’ll likely get offered all kinds of freebies, like diaper bags, diapers, and even onesies and sleep wear. Take anything that is offered to you. 17. Keep your diaper bag stocked with everything you need when you’re out. The goal is to avoid buying something that you already have at home. 18. A day care center is almost always less expensive than hiring a nanny or in-home babysitter. 19. If you do hire a nanny, hire a well-qualified student instead of someone who considers themselves a professional nanny. 20. Share a nanny with one or two other families. The nanny can watch two or three kids at once, and you can share the cost. 21. To eliminate some or all child care costs, adjust your work schedules. If one parent works during regular business hours, see if the other parent can work in the evenings. Even if there’s some overlap, paying for a few hours of care every day is certainly less expensive than paying for full days. 22. Ask a grandparent or other relative if they are willing to watch your child one day (or more) per week. 23. if your workplace offers on-site child care, their costs may be lower than an off-site daycare center. 24. Set up a child care co-op with a few other families. You watch all the kids once per cycle (depending on how many families are involved), and the other families watch them on the other days. 25. Take advantage of the child care tax credit for a tax break. 26. Designer labels have started putting out their own lines of baby and kids clothes. They are lovely, but they are also incredibly expensive, especially when you realize that your child will outgrow them in a few months. 27. Try to have some restraint when buying kids clothes. Yes, your child will look adorable in all of the little outfits. No, you do not need to buy all of them. 28. Think in terms of what you’ll actually need and use. That ladybug raincoat might be the cutest thing ever, but if you live in an area where there’s not a lot of rain, it’s probably not a smart thing to buy, no matter how cute it is. 30. Newborns do not need shoes. Soft foot coverings are perfectly fine. Yes, the shoes are cute, but they are an unnecessary expense. 31. Check out consignment shops, thrift stores, and garage sales for gently used clothing. 32. Take advantage of all offerings of hand me downs from friends. Save your first child’s clothes for your second (and third?) children to wear. 33. If an item of clothing gets a stain on it, sew a fun patch over the area. Your kids can keep wearing that shirt or pair of pants, and it will seem new to them because of the embellishment. 34. Hit up end-of-season clearance sales to buy a size or two up for the following year. 35. Also check out pre-season sales for early discounts and a better selection. Buy your kids’ summer clothes in April, winter clothes in September, and so on. 36. If you can, make clothing for your children. 37. New pajamas can be prices. However, old, soft clothes, even items with stains, can be used as pajamas. 38. if you have multiple kids of different genders, buy big items like boots, coats, and hoodies in neutral colors so they can be passed down. 39. Don’t buy anything that just fits your child — they’ll outgrow it in a week. Always buy a size up. 40. For dress-up occasions like a wedding, don’t buy a dress or suit that your child will wear only once. Instead, ask around to see if you can borrow one from a friend, or look into renting what you need. 41. When footie pajamas get too short, take a pair of scissors and cut the feet off. 42. If your kids take a bath before putting on pajamas, those pajamas can be worn more than once before they need to be washed. 43. Wash kids’ clothes only when you have a full load. If you have several children, combine their dirty laundry piles. 44. Older kids will want the latest fads and fashions. Limit what you spend on these things. If they really want them, encourage them to get a job, save their money, and buy what they want. 45. Clip coupons, use coupon apps, and pay attention to sales to pay lower prices on everyday essentials. 46. Grow your own vegetables and, if you can, keep chickens for lots of eggs. Get your kids involved in gardening and caring for the birds — it teaches them vital skills, and you won’t be stuck doing all the work yourself. 47. Don’t take small kids grocery shopping. They often ask for things you don’t need, and while you say no to their pleasing more often than not, you’ll still end up giving in to one or two of their requests and spending more than you planned to. 48. Don’t buy “kids” food: chicken nuggets, frozen french fries, and heat and serve items. Encourage your kids to eat the meals you prepare for the whole family. 49. Buy whole foods rather than convenience foods. 50. Do your best to use all the food you buy. Throwing away food is like throwing away money. 51. Cook big, relatively inexpensive meals like chicken noodle soup and lasagna. These are crowd pleasers that can be made for a modest amount and can feed a huge family. 52. Allow your kids a limited amount of juice. Water is better for them anyway, and if it’s from the tap, the cost is almost nothing. 53. Kids will often shout for you to stop the car when you drive by a fast food joint. Don’t stop! 54. If you do eat at restaurants, eat at places where kids eat free, eat what they weigh, or eat for some other significant discount. 55. Or, when eating out with small children, order one entree for you and your child to share. Restaurant entrees are often too big for one person anyway, and the adult entrees are usually tastier and more healthy than anything on a so-called “kids” menu. 56. Get a membership to Costco, Sam’s Club, or other warehouse store so you can buy items you use a lot of in bulk. 57. Try to avoid buying kids’ snacks in single serving bags or containers, where the price per ounce is considerably higher than buying a big bag. Instead, buy big and portion out individual snack sized bags or containers at home. 58. Buy gently used toys at garage sales, on ebay.com, and on Craigslist. Big items like play kitchens, bikes, and trampolines can be found for a fraction of their original cost. 59. Or, to reduce your costs, clutter, and boredom, rent toys through one of several toy rental websites. 60. Try to limit how many toys you buy. Encourage your kids to donate or sell the items they no longer play with. 61. Ask friends who have kids a few years older than yours; chances are their kids are sick of their old toys and will gladly give them to you for free. 62. Encourage unstructured play to develop kids’ imaginations and also to keep your spending down. For example, a box of matchbox cars and no instructions can be a lot more interesting than an elaborate racing track that sends the cars in only one direction. 63. Give your kids a box of plain wooden blocks. They’ll have hours of fun making thousands of different creations, and plain blocks cost a lot less than other, more elaborate toys. 64. Save the big boxes that appliances come in. Your kids will turn them into a fort, a fire truck, a boat, and more. 65. Instead of toys, temporarily repurpose household items. For example, a few wooden spoons and some pots become an awesome drum kit. 66. Use all the crayons before buying new ones. The small pieces color just as well as the fresh ones. 67. Coloring books are fun, but blank paper is even more fun. Plus, it’s cheaper and it encourages kids to artistically express themselves more fully. 68. Save your old clothes, put them in a box, and let your kids play dress up. They’ll love pretending to be you. 69. Give kids your old, expired credit cards, mobile phones, old purses and wallets, and other items to play with. These things may seem useless to you, but to a five year old, they are oddly entertaining. 70. Check freecycle.com for people who are looking to give away things they no longer want, including toys that their kids have outgrown. 71. Get together with some friends and have a toy swap. Your kids can trade the toys they’ve lost interest in for a friend’s toy that’s no longer seeing lots of use. 72. Limit toys that use batteries. You’ll always be buying batteries. 73. Check with your local movie multiplex to see if they offer free kids movies. Many theatres will do mid-morning free screenings of last year’s kids features in the summer, on school vacations, and on the weekends. 74. Take the kids to a matinee, where tickets cost less than evenings shows. 75. Check your local park’s summer schedule for free family concerts. 76. On holidays, head to your local main street for a parade. Kids will love seeing all the floats, performers, and attractions pass by. 77. Look into free or reduced cost days at zoos, museums, and other attractions. 78. Seek out all the free playgrounds in your area, and visit them on a rotating basis to keep them all new and exciting. 79. See what your local library has to offer. In addition to a big collection of children’s books, many libraries have an extensive list of kids programs and activities, all of which are free to residents. 80. Cut out your cable or satellite television bills. Instead, watch free videos and shows aimed at kids on YouTube, Hulu, and other websites. 81. Keep your kids’ after-school activities to a set number, maybe two per week. This not only saves some money, but teaches kids to prioritize. 82. Summer camps can be expensive. Limit the number of weeks your child can attend camps, and allow them to choose what they’d like to do. 83. If you plan to visit an amusement park, buy tickets in advance to save a significant portion off the face charge. 84. Research less expensive vacation options, especially ones within driving distance. 85. Doing a family trip to a Disney park? Resourceful visitors before you have discovered hundreds of ways to save money on the trip, from admission fees to lodging to food costs. Check out books from the library and visit websites for Disney saving tips. 87. If you allow your children to play with your iPhone, iPad, or Android device, download free apps rather than paid apps for them. If they want a paid app, see if there’s a free, lite version of it and make sure your child really loves it before buying the full version. It’s also a good idea to limit how much you’ll spend on apps for your kids or how many you’re willing to download per month. 88. Make sure you switch off all in-app purchases! We’ve all heard the stories about kids inadvertently spending $500 or more in a single app. Don’t let it happen to you. 89. Create a family budget and stick to it. 90. Keep birthday parties reasonable. A blow-out party at a giant bounce house establishment might be a blast for your child and his or her friends, but so might swinging a bat at a piñata in the backyard. The latter is substantially cheaper. 91. Start saving for college early! It’s not unheard of to start right after they’re born. A little bit here and there will really add up. 92. If your health care plan won’t cover required immunizations, call your local health department. They can often get your kids the vaccines they need for a nominal fee per shot. 93. Send your kids to public school instead of private. 94. Limit how much commercial television your kids watch. They’ll see fewer ads, which means they’ll ask for fewer things. 95. If you smoke, quit. You’ll save money on cigarettess, plus you’ll save on healthcare, since secondhand smoke causes all sorts of ailments in small children. 96. Teach kids to turn off lights when they’re not in a room, not to let the water run, not to leave the door open when it’s cold outside, and to do other things to keep utility bills down. 97. Bathe small children together. You’ll have to fill the tub only once, which helps to keep the water bill lower. 98. Pets cost money. If you’re willing to let your child take care of a pet, the smaller the better. Goldfish are perfect, as are animals that don’t need a lot of stuff. If you can borrow or get an aquarium or a hamster cage for free, though, tropical fish or small rodents are good too. 99. Learn how to cut your kids’ hair. It may save only a little bit, but over the course of their childhood, those small amounts will really add up. 100. Swap and barter skills with friends. If you become good at cutting hair, trade with your friends: one haircut by you in exchange for something from them. 101. Rather than giving in to every whim your child has, give them an allowance so that they can spend their own money on what they want. They’ll learn how to make decisions, and you won’t always look like the bad guy every time you have to say no to them.